Dèesse Magazine: The Four B's in my Professional Makeup Kit - Four Must Haves. 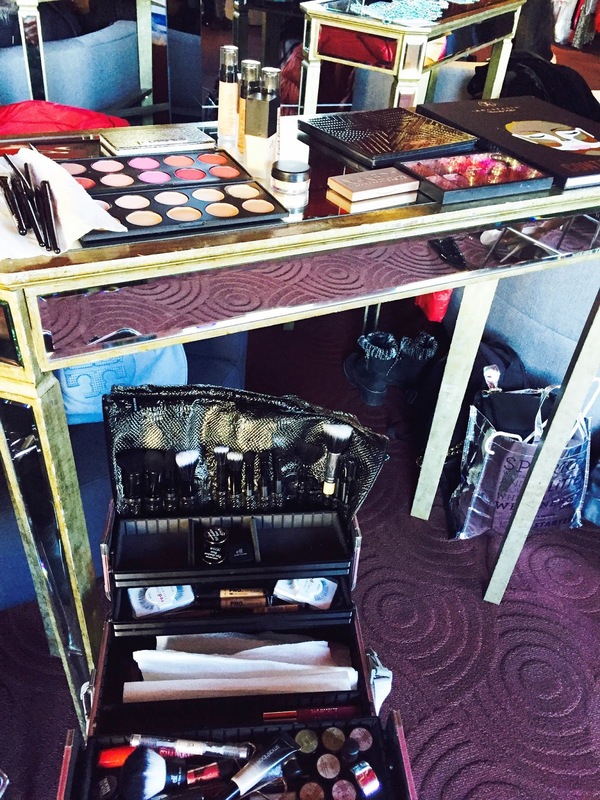 The Four B's in my Professional Makeup Kit - Four Must Haves. There is four items some new additions , some oldies that are in my Professional Makeup Kit. I though it would be fun to share. How cute are these ?? 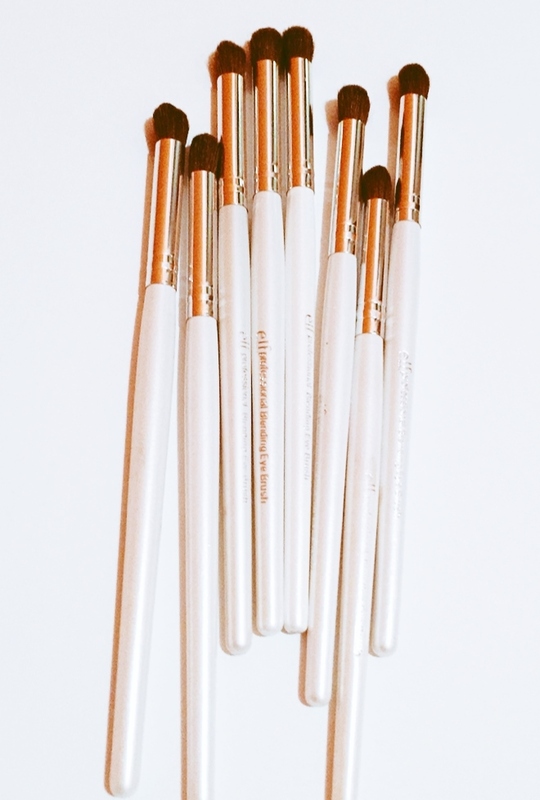 Blending Eye Brush by Elf Cosmetics ( Elf / Target - $1) - I can not stop raving about this brush . Do not be fooled by the super economic price , this is a top quality brush! I have this brush in my professional as well as personal kits and I absolutely love it. I have brushes from higher end brands that do the same function ( crease , transition colors , etc...) and I always and continue to REACH for this elf brush. Its always on my list of things to pick up from my local Target or the Elf Store in SoHo. My brush set-up before Brushfolio . 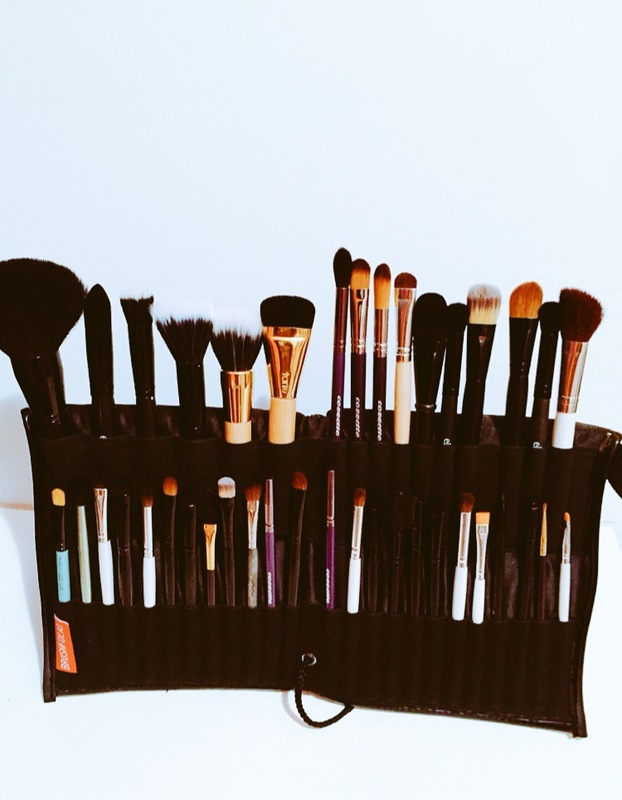 Brushfolio Original The Professional Brush Stand ( Online / $40) Designed by Celebrity Makeup Artist Priscilla Ono - Prior to using this brush stand I would place my brush case upward in my train case while working . It was not so bad , but Brushfolio has made things much more efficient and easier. I am able to 1. I can carry more brushes , 2. have all my brushes standing upright where I can see them opposed to being in my train case / or laying on a table. There is a sleek patent polyurethane outer material which really gives this case a luxe appeal. I love this for my kit , and I want more to have for my personal makeup up set up and to store lip liners ( another idea I saw from another artist online). All in all, this has upgraded my brush set-up - pictures above speaks for themselves. You can check out my first impression video here. 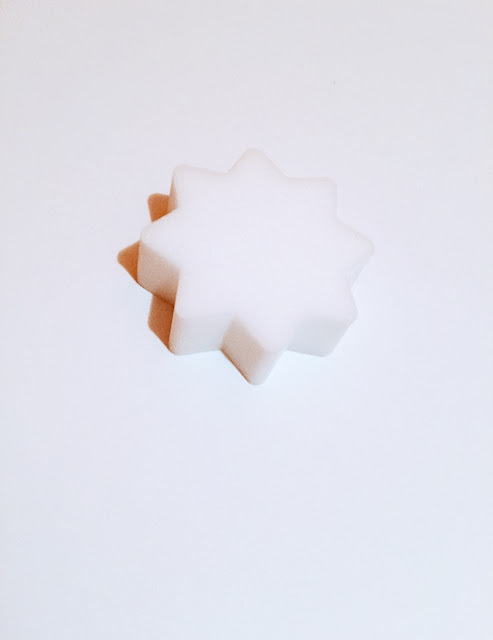 Bronze Buffer (Online / $8) - Bronze Buffer is this innovative sponge created with the intent to "clean up" any tanning "faux-pas" ( streaking , tanner on nails and hands, etc... ) . Perfect for those working with Brides who may have gotten a tan before her big day and there may need to be some editing. As for me, I 've also discovered that this is amazing when working on editorial makeup looks involving the body - paint , glitter, body liquid highlighters , etc. I have found it resourceful to use the Bronze Buffer in those cases as well to clean up / revise any applications. 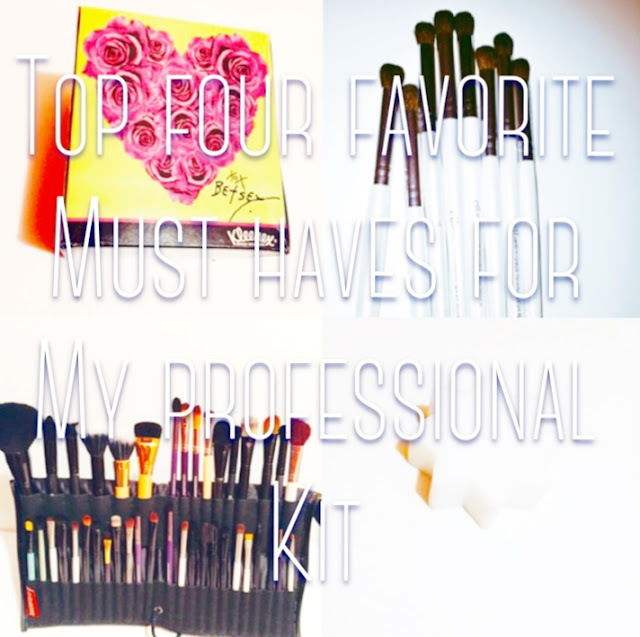 There you have it, my four must-haves for my professional kit.